Our core focus is on continuing to develop Junior Cricket in Petworth Park. 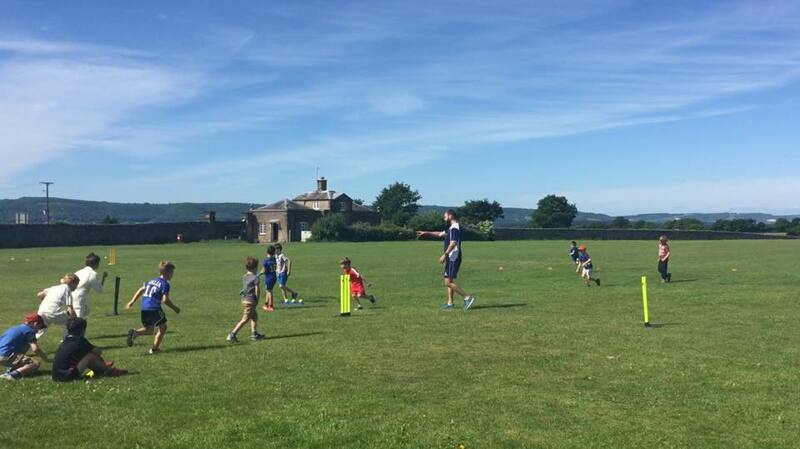 We welcome all boys & girls, aged 5 - 12 to come and enjoy a fun way to learn and play cricket on Saturday mornings throughout May, June, July and August 2019 in the beautiful surroundings of Petworth Park. New for 2019: This year we are working with the ECB and Sussex Cricket to deliver All Stars Cricket for 5-8 year olds and a well run Junior Cricket programme for 8-12 year olds, led by Anthony Statham and Nigel Abbott our professional UKCC Level 2 qualified coaches and trained All Stars Activators, along with qualified Coach Support Workers. All Stars Cricket - The ECB All Stars Cricket programme provides boys and girls from 5-8 years old with 8 weeks of non-stop fun. The activity and game based programme is suitable for all skill levels, providing your child with the foundations to begin a lifelong love of physical activity and cricket, while making friends in a safe and enjoyable environment. At Petworth Park Cricket Club we would like to offer our All Stars even more by extending our cricket programme to include a whole 17 weeks of fun sessions each Saturday morning from 4th May to 24th August 2019 at a cost of only £60.00 per child for the whole programme (including All Stars kit bag containing personalised t-shirt, back pack, bat, ball, cap and activity book). Sign up for All Stars here! (Please note that the ECB All Stars website defaults the programme to 8 weeks but rest assured we are offering a full 17 weeks of cricket fun for your child for their £60.00 fee). Junior Cricket - This year we are offering our 8-12 year old players 17 weeks of junior cricket with the opportunity to play in U10’s Softball League games and the option to play some hardball games during the season. Our Junior Membership in 2019 costs just £50.00 per child and includes all weekly Junior Cricket Sessions starting Saturday 4th May 2019. Sign up for PPCC juniors here! coming up! 2019 REGISTRATION day: Saturday 6th April 2019 at ppcc from 10am - 3pm. please come along to find out more abouT the club and to get involved!